We learn through our failures. Nowhere is this more apparent than in my garden. My beloved crepe myrtle has succumbed to a blistering attack of withering leaf mold. With loving care four years ago I planted it in a sunny, well-ventilated spot that was guaranteed to ensure long-term vitality. What happened? I happened. As a gardener, I violated a fundamental truth—RPRS: Right Plant, Right Spot. Each plant has a unique and special place in the landscape. Too much sun causes leaf wilt. Too much fertilizer causes excessive leaf growth. Too much pruning yields a struggling plant. Soil condition, water, fertilization, and placement are carefully orchestrated to ensure long-term vitality. Sadly, my poor crepe myrtle was not the right plant in the right space. The growing conditions changed over the years. My long-term placement was poor. An ancient beech tree only yards away slowly expanded and enveloped my beloved crepe in a cloak of deep, daylong shade. Weakened by its lack of sun, it became a host to a myriad of bugs and fungal infections. No matter how much fungicide and insecticide I used, the tree failed to thrive. How many of your employees are not RPRS? As Gardner-in-Chief, that’s your job—to put the right people on your leadership team in the right seats. Perhaps you have a once-shining star that has failed to adapt to new market realities. It’s sad to watch. No matter how much coaching and training you do, they fail to thrive. It’s a sad day when you realize this harsh truth. What will you do? Remember, your job is RPRS on the leadership team. That’s it. For as the leadership team goes, so goes your entire company. This morning I realized my crepe myrtle’s days are numbered. Should I wait for another season and let it continue to struggle? Or should I be merciful and act now? Watching the suffering is too much for me. 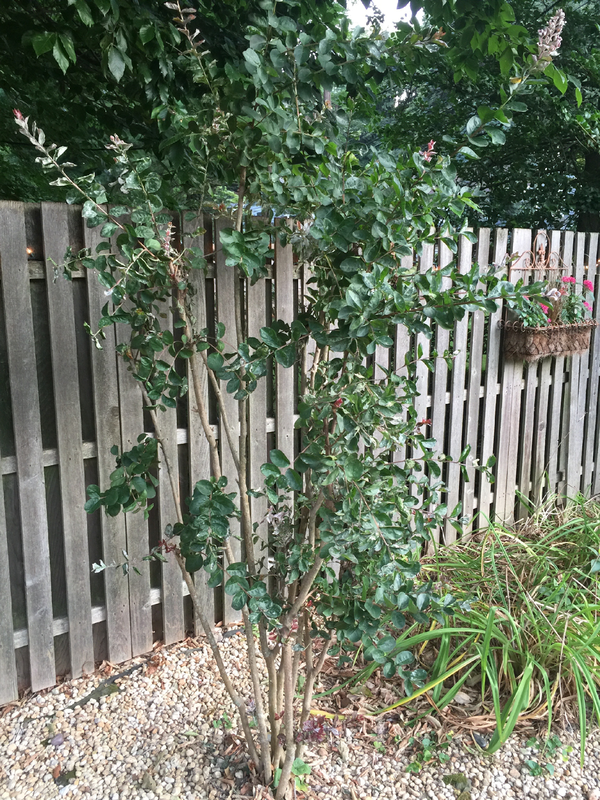 This morning, I will call the arborist to relocate my beloved crepe myrtle to a spot in the garden where it can thrive. What will you do? This post originally appeared on the Positive Traction blog on July 27, 2016.